Dear LN, Thank you very, very much for sharing your knowledge. You have beautiful mindset. Please keep up what you're doing and never stop. We appreciate all of you, and the business owners and publishers reaching out to keep us in the loop. Now, let's get on with the show! Read your mixing article on reverb and loved it. Now, I'm a wannabe mixer of my own pieces - I cheerfully screw up just about everything I do in mixing it, hence these incredibly dumb questions. Firstly - Workflow: If you were given a bunch of tracks to mix into a song, would you have a go-to series of steps you'd perform in order? I know effects depend on the song but when you're given the raw tracks, what do you usually or always do and in which order do you do them? Secondly - Synth Sounds: Random Professional has a synth sound on his track. You've got a sound that's very similar, but on your track it sounds like it's just been exhumed while on his it's hopping about full of life. Assuming it's the same sound, what's he doing you're not? Thirdly - Bad Results: If I was following all your instructions to the letter but the mix still stunk worse than a skunk on beans (after many tries!) - where do you start looking for reasons why? This is Jared, resident Mix Master Plus. I do typically have an order of operations. First, I take a look at each track individually and clean up noise in silent regions, etc. If it's really bad in terms of volume variation I might apply some automation to the volume fader to level it out and then bounce it or push it to an auxiliary track. I get everything closer to how it should be volume-wise first, in relation to itself. Next, I will bring everything up in the mix so that it's close enough volume-wise to see what's going on in relation to the song as a whole. I don't get too detailed here because it will all change. This is just so I can make preliminary panning choices. After this, you have something resembling the final song in the stereo field. Then I go to equalization. This is where the most drastic changes come in, in regard to letting everything dominate its own area of the frequency spectrum. Just because a guitar is panned hard left doesn't mean it doesn't need to dodge the vocals though. A great trick is to drop the entire mix to mono during the EQ phase here and there to see if you truly have clarity or if you're letting panning fool you. Rarely is any listener in front of monitors. They are in the car, at the club dancing off to the side, etc. So you've got to do the mono trick! Then it's compression. Don't be scared to compress the ever-living crap out of certain things like vocals. You'll know if you went too far if you start getting a "pumping & breathing" sensation. I know we romanticize 'dynamics' these days in the face of the Loudness Wars, but definitely test heavy compression. It's the modern sound. And finally I add effects like reverb, delay, etc. Each of these needs their own EQ as well. You can accomplish this by applying the effects to busses instead of the specific track. You can apply these effects pre-compression too if you want to bring back a sense of dynamics you lost while keeping the main tracks squashed. 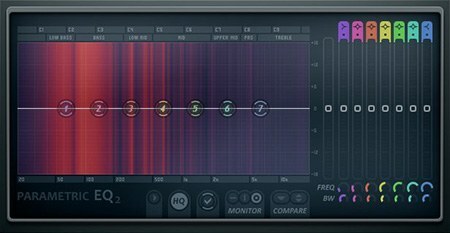 Regarding synths, first determine if it's playing the role of a lead or a bass synth so you know where to EQ. The trick with synths is that they dominate so much of the frequency spectrum that you have to get aggressive with the EQ. But as you start chopping out fundamentals in the lower frequencies, it begins to feel "dead," as you've mentioned. If you chop out too much in the higher frequencies you'll lose the harmonics that provide intelligibility. Try to use a high-pass filter and boost everything above, say... 1 kHz as a starting point (sweeping that up and down to find the sweet spot). What you'll do is bring out the harmonics and higher frequencies, which is what allows the synth to cut through the mix without too much power in the low-end. It'll still feel alive while maintaining its characteristic sound. Also, try adding varying levels of distortion to the synth and watch that pop out even more harmonics. You can test cutting some frequencies in the range of 200 Hz up to 600 Hz to find any muddy or boomy spots that are causing you to push the volume down. This is the general workflow though. It's the most logical order of dealing with a mix. As far as anyone saying there is a procedure like "do this with this number then that with these other parameters"... there's no such thing. It's definitely not a science but an art. Regarding your last question, if something is off by quite a bit after I've worked it over, I'd listen and try to determine if it's an EQ and/or Compression issue. If it's too loosey goosey in volume then try more compression and volume automation. If it's muddy or blurry then it's EQ, either in the source or the effects, often reverb. Equalizing your spatial effects is far more important than most realize. A lot of amateur mixers don't even realize this is a possibility. Feel free to hit us back if you need. We're more than happy to continue discussing. 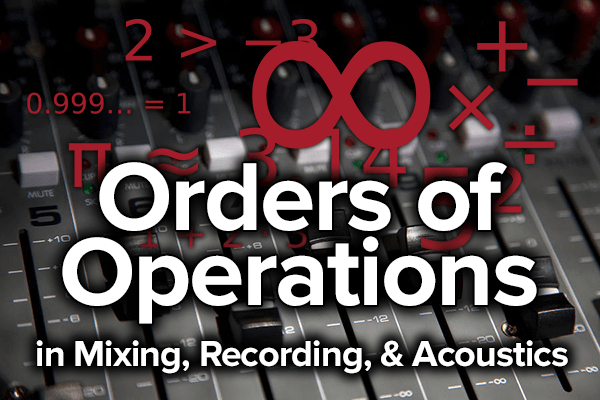 Also, don't forget to check out all of our mixing tips in the Mixing & Mastering column.